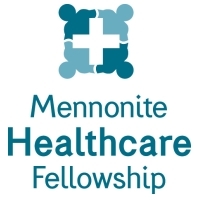 Mennonite Healthcare Fellowship (MHF) is in the midst of shaping and unveiling a new strategic plan. In a previous article, I shared the foundation and first point of this plan. The Board’s desire is to focus the mission of MHF on the interlocking themes of mutual support, education, mentoring, and mobilization for service. This article is on the use of financial resources to make that happen. A separate later article will look at ongoing funding in the future. However, the foundation for that future growth is being laid in the ways that we use the resources inherited by MHF from its predecessors, Mennonite Medical Association (MMA) and Mennonite Nurses Association (MNA). We need to look briefly at the background for the formation of MHF. While there were two predecessor organizations of MHF (MMA and MNA), there were actually three legal entities that merged in the formation of the new integrated organization. Mennonite Nurses Association had the legal status most similar to what was envisioned for the new organization, MHF. Thus, MHF is the same legal entity as MNA, but with its name changed. Of course, with that name change also came other changes in structure and bylaws. But MNA’s legal status, federal identification number, and tax exempt status remain the foundation of MHF’s legal standing. Mennonite Medical Association was formed as a non-profit corporation in the 1990s, only having recognized federal tax exempt status since that time. It’s assets were “sold” to MNA/MHF in the merger and later in 2011 ceased to exist as a separate legal entity. Mobilization for Mission Fund (MFM) was an earlier non-profit legal entity formed by MMA in the early 1970’s to provide MMA members who gave to mission projects with a legal tax deduction for their contributions. MFM as a separate legal entity continued to exist and its funds tracked separately even after MMA as a whole received its tax exempt status and separate federal ID some twenty years later. At the formation of MHF, the MFM Fund was also turned over to MHF and like MMA later in 2011 ceased to exist as a separate legal entity. In the formation of Mennonite Healthcare Fellowship, MMA and MNA made the strategic decision to use the funds from all three legal entities as needed to carry out the transition, starting with MMA, then MNA, then MFM. By the time MHF came into existence, MMA and MNA funds were depleted and only the resources of MFM remained to draw on. Furthermore, after the formation of MHF, the assumption was made that MFM funds would continue to be tracked separately. This created a situation in which the funds used in the transition were treated as “borrowed” funds to be “paid back” by securing hundreds of new memberships to replenish the fund to its 2010 level. The lack of that level of growth has led the MHF Board to call into question that assumption which to its knowledge was never formalized by an action of the Board. The Mobilization for Mission Fund was started to enable MMA members to give tax deductible gifts toward the larger mission of MMA at a time when membership dues were not deductible. This distinction no longer holds since all dues and contributions to MHF are tax deductible. Some people have assumed that the MFM Fund was to be used exclusively for the Student Elective Term (SET). However, neither SET nor any other specific program for which MFM funds were used was yet in existence when MFM was founded. 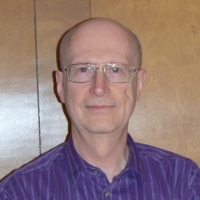 The concept of mission has changed since the early 1970’s. “Mobilization for Mission” no longer means exclusively for mission activity outside the U.S. and Canada. When MMA and MNA closed in 2011, it was for the purpose of extending the mission of the new organization to new groups of professionals and new generations. Thus, there seems to be no legal reason that MFM funds needed to be kept separate at the merger of the three legal entities. The general purposes for which all funds were previous given was essentially the same since the general mission of all of the legal entities was the same: to further the charitable purposes involving Mennonites and health. A mission to reach out to all healthcare workers who identify as Anabaptist with the encouragement to integrate their Christian faith and their professional life. In living out that integration to engage in activities that build up the church and serve the world. MHF will save considerable time and money in the administration and accounting of its funds. This is simply good stewardship. The current programs using MFM funds can be incorporated into the overall budget of MHF. This includes the Student Elective Term (SET) and the Steven Roth Memorial Grant Program. MHF members can give generously to one unified budget, knowing that funds given will cover both the programming and administrative costs of both these legacy programs as well as any new programs to further the mission of MHF. In reporting on the financial situation, a simpler and more complete reporting can be made showing funds needed and used for the overall mission of the organization. How an organization uses its funds is a most powerful indicator of its real mission and purpose. In the final analysis, MHF exists not just to benefit its members but to extend the reign of God in the world.